You might ask #WhyICare? I am 17 years old and I am worried about getting skin cancer. In 2015, after having a suspicious mole checked, my grandmother received her first melanoma diagnosis. She underwent surgery to remove all cancerous tissue and was considered cancer free; however, 2 years later, while visiting the emergency room for severe back pain, the doctors discovered she had numerous nodules on both lungs. She was diagnosed with stage 4 invasive melanoma skin cancer that had spread to her lungs. She died nine months later at 70 years old. After my grandmother passed away, I decided to have a mole on my neck checked by a dermatologist. Thankfully, it tested negative for melanoma, but because of my family history, I will remain vigilant in checking for changes to my skin while educating others to do the same. 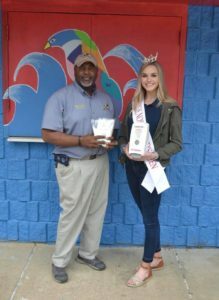 When I decided to compete for the Miss Mississippi’s Outstanding Teen title, I knew immediately that my platform would deal with skin cancer awareness and prevention. 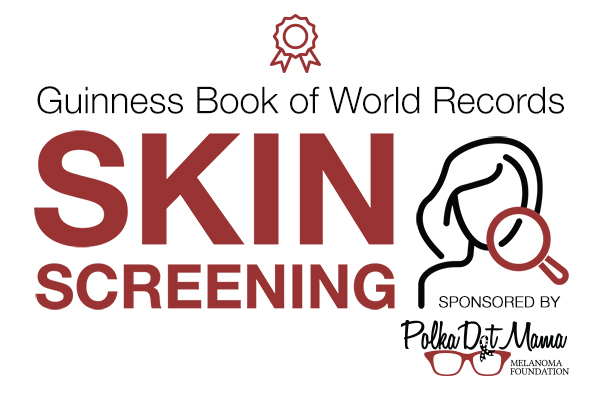 Through my platform, Save Our Skin: Raising Awareness for Skin Cancer Prevention, I am working to educate others on sun safety so they can prevent melanoma and to make sure people understand that skin checks can save their lives. I have spoken to more than 500 children and teens about the importance of sun safety. I have also worked with civic organizations to raise money for sunscreen dispensers, sunscreen samples, and to provide information about skin cancer checks. I raised over $700 through a pasta party to donate five sunscreen dispensers with enough refills for the entire summer to swimming pools in my hometown and the Grenada Lake beach. I am working with skin cancer survivors to provide sunscreen dispensers at two youth ballfields, one in Magee, Mississippi, and the other in Tupelo, Mississippi. 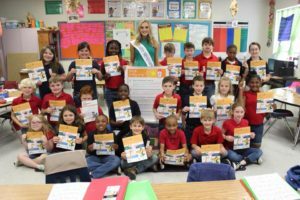 I partnered with a weekly newspaper to publish sun safety tips where I was able to share the importance of skin cancer prevention with more than 100,000 homes in Mississippi. I have used social media to bring awareness to skin cancer prevention by using comments, likes, and shares to give away two baskets of sun protectant items. I have distributed 300 sunscreen samples to children and teens. I worked with a local hair salon to create a video on how hair stylists can give clients a #HeadsUp by looking for suspicious spots on scalps. I was successful in working with the Governor of the State of Mississippi to declare May as Mississippi’s Melanoma Skin Cancer Detection and Prevention Month. Keep up the great work Presley! Thank you Presley for educating. Love your platform. Keep up the good work.